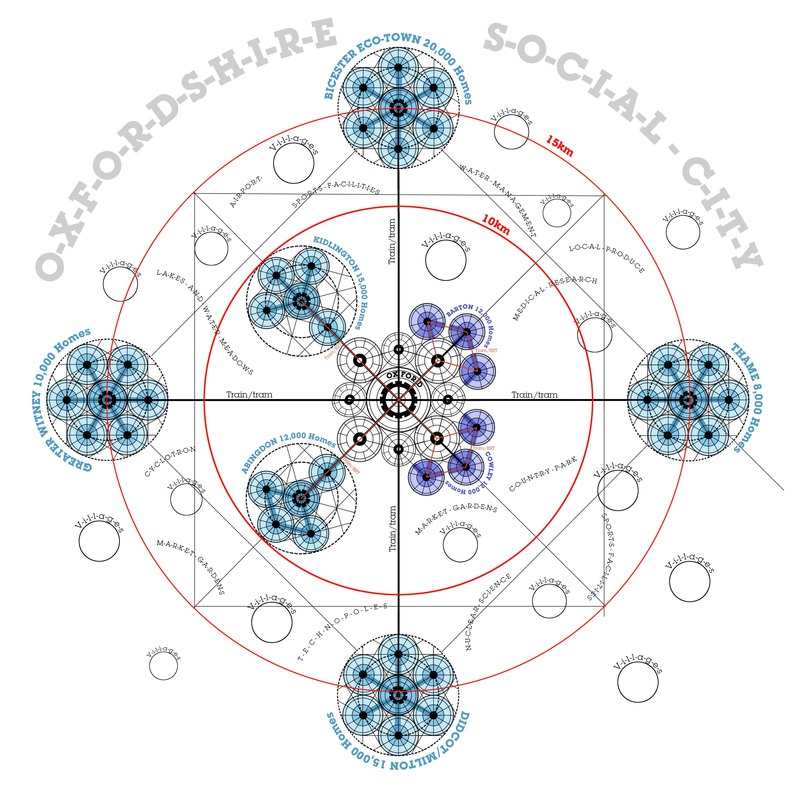 As part of our winning submission for the Wolfson Economics Prize in 2014 we inlcuded a case study which demonstrated how our model for a Garden City could be applied to Oxford. Following this Nick Falk presented a series of events to discuss strategic issues in Oxford. This was part of our Oxford Futures campaign - a collaboration between Oxford Civic Society and URBED to raise awareness of such issues in the county. Despite the positive experience of using modern trams to boost the quality of life, accessibility and prosperity of many European cities, little work has been done on their application to historic cities such as Oxford or York that have congested centres and pressures for new housing. In August 2014 URBED won the prestigious 2014 Wolfson Economics Prize for their proposals for Uxcester Garden City. Their study showed how new local infrastructure such as a tram could be funded from the uplift in land values by developing new housing on the edge of Oxford. The Oxford Futures workshop in November in Oxford brought out the need for radical solutions to cope with a rapidly expanding city, and the example of Oxford’s twin city Grenoble in France to illustrate the potential, and the need for new housing and transport infrastructure to be considered together. At the same time research at UCL, for the Sintropher project on tram trains, is examining how other European cities make projects viable that in the UK are considered unfeasible through different appraisal and funding systems. In November 2014, a workshop was held at Keble College, Oxford to bring together researchers and research users with an interest in the future development of Oxfordshire. Dr Fiona Ferbrache - Visiting Research Associate, Transport Studies Unit, Oxford.